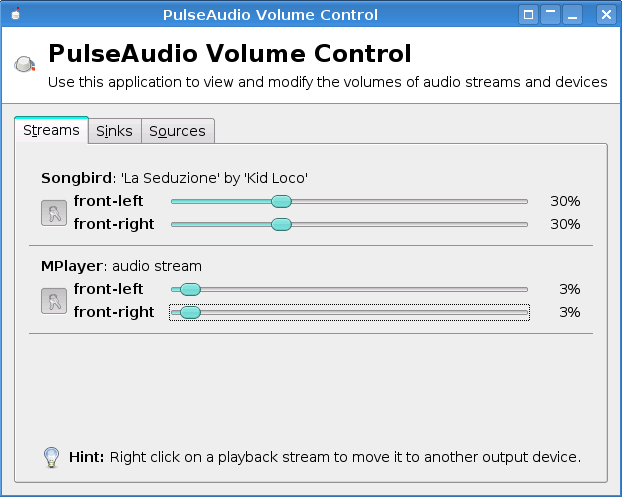 Several Linux distros (Ubuntu, Fedora) now use [http://www.pulseaudio.org PulseAudio] per default. Several Linux distros (Ubuntu, Fedora) now use [http://www.pulseaudio.org PulseAudio] per default. Support for PulseAudio was added in MythTV 0.23. * and last but not least network transparency, i.e. sound output on different computer is possible. * High latency, sound samples can take anywhere from half a second to 2 seconds longer to reach the sound card. Whilst this is faster than other sound servers it is unacceptably slow compared to direct interaction with alsa and can cause significant problems with video playback. 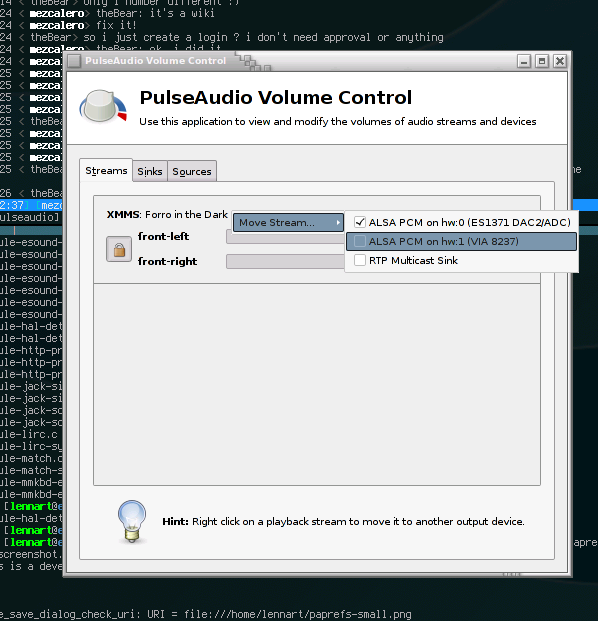 Several Linux distros (Ubuntu, Fedora) now use PulseAudio per default. Support for PulseAudio was added in MythTV 0.23.